Hang out with your favorite characters from The Secret Life of Pets and find out what those little guys are really up to all the time! 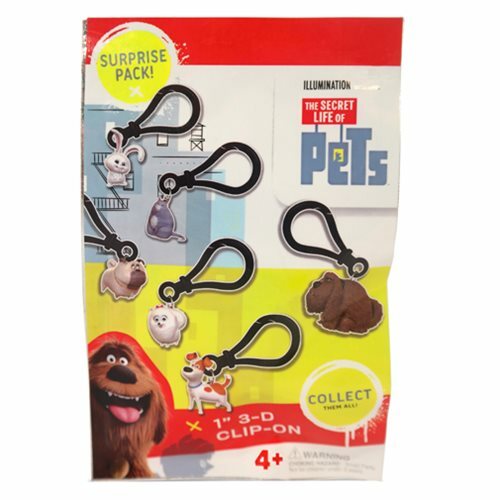 The Secret Life of Pets Random Character Mini-Figure Clip-On Gravity Feed Display Box features cute little mini-figures of characters from The Secret Life of Pets complete with convenient clip-ons so that they can be affixed to backpacks, bags, or just about anything else you can think of. Collect them all! Ages 4 and up. This display box contains 36 individually packaged blind boxed mini-figure clip-ons.